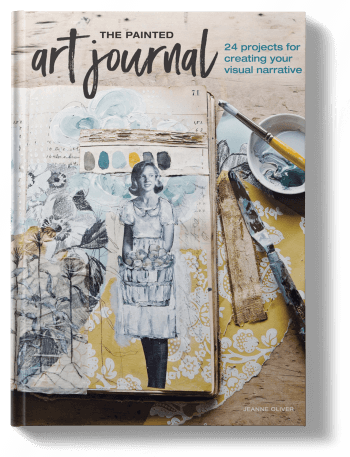 This devotional goes with our free video series Listening | Finding the Quiet on our creative network. 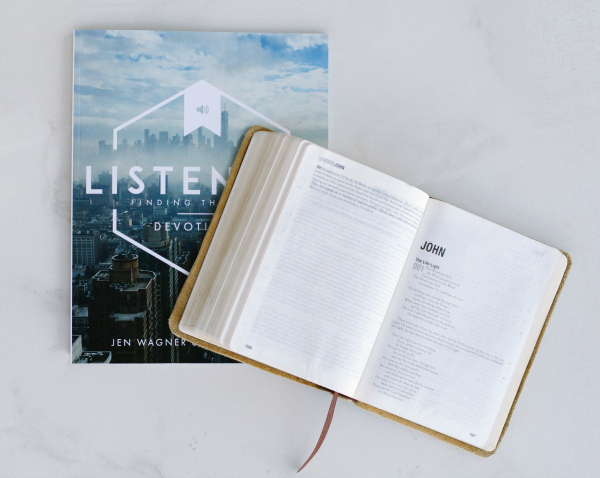 We have created a Listening devotional to use along with the free video series. 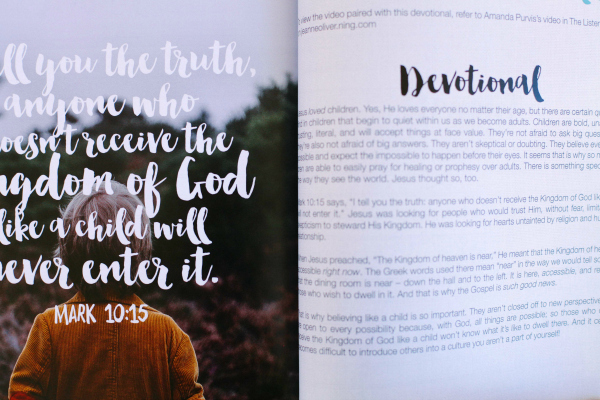 The devotion is 94 pages filled with thought provoking lessons, gorgeous images and powerful scriptures. The devotion measures 8x 10 with high quality paper. 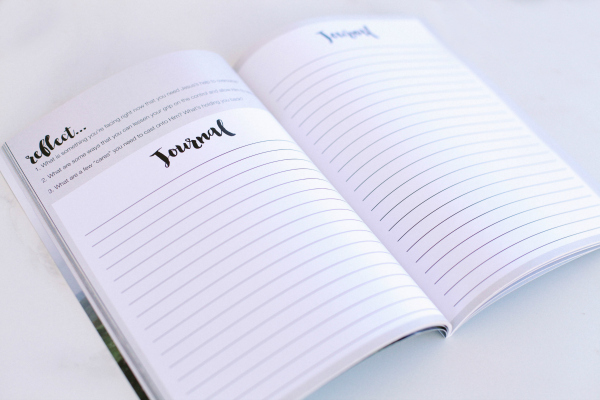 If we don’t make intentional time with the Lord each day will it happen? Our walk with the Lord is a relationship and relationships only grow when we make time for each other. 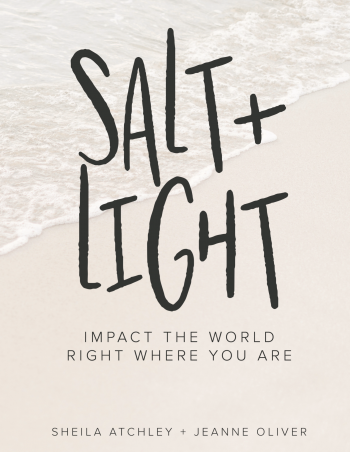 Each week you will hear Listening stories from the men and women in this study. 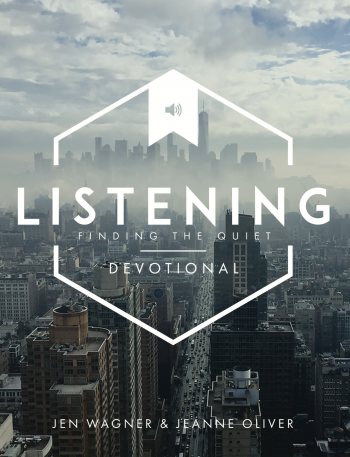 We will be sharing our own journeys of listening and intentionally finding the quiet. This study will be open , honest and Bible based. We hope you will join us for this free online study!